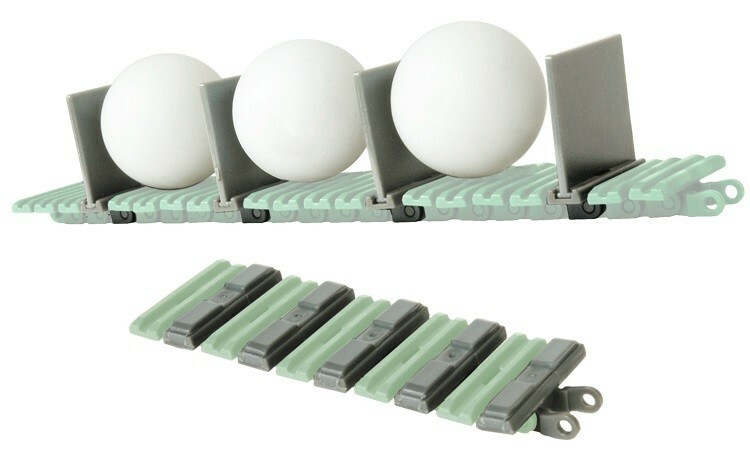 Tank Treads become Conveyor Belts. It's Magic! These upgrade links should be useful to designers wishing to create more advanced mechanisms utilizing the tank tread. Availability: 88 In Stock. Backorder available. 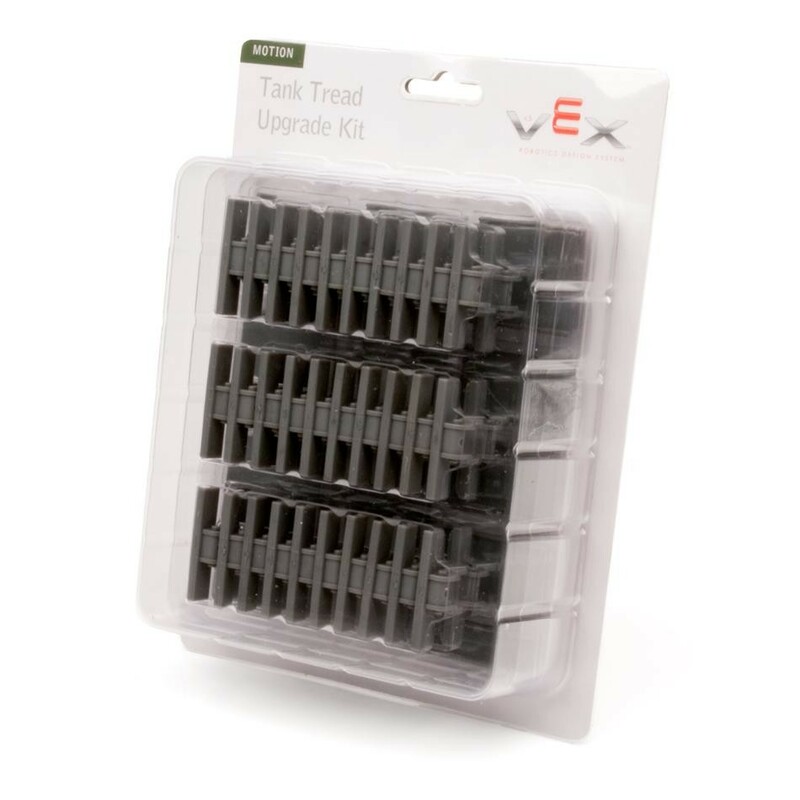 This upgrade kit provides two types of add-on links designed to increase the functionality of the VEX Tank Tread Kit. 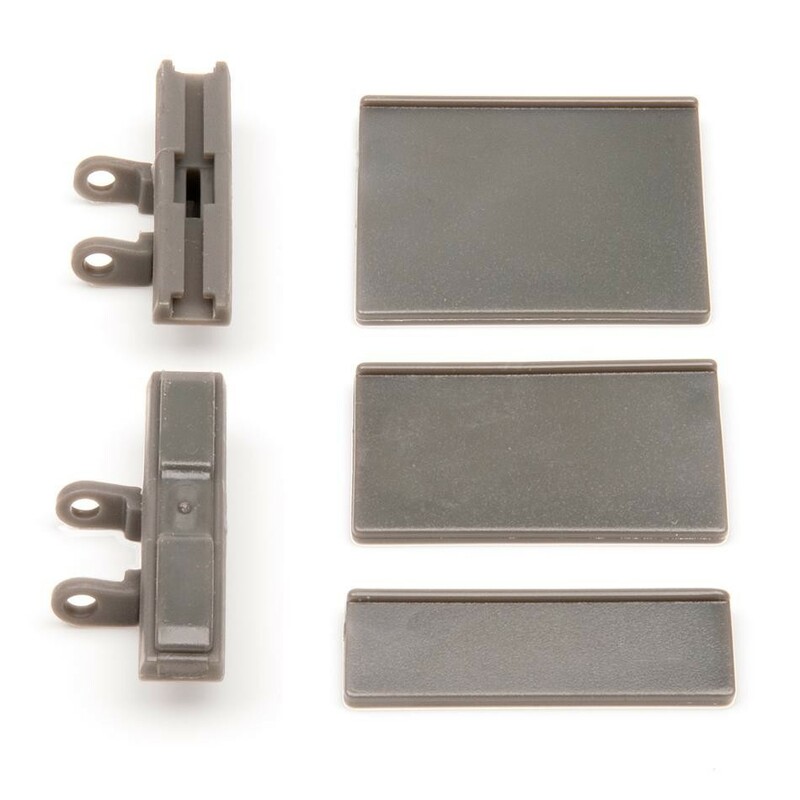 The first set of add-on links includes a patch of soft rubber designed to increase the traction of the tank treads on smooth surfaces. 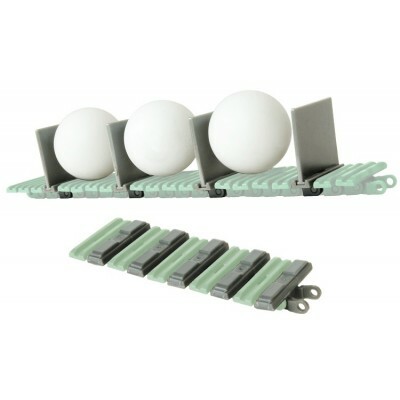 The second set of add-on links includes a variety of fins, for use in constructing conveyor belt type mechanisms. Get High-Traction on Smooth Surfaces. Compatible with Tank Tread Kit, High Strength Chain & Sprockets. 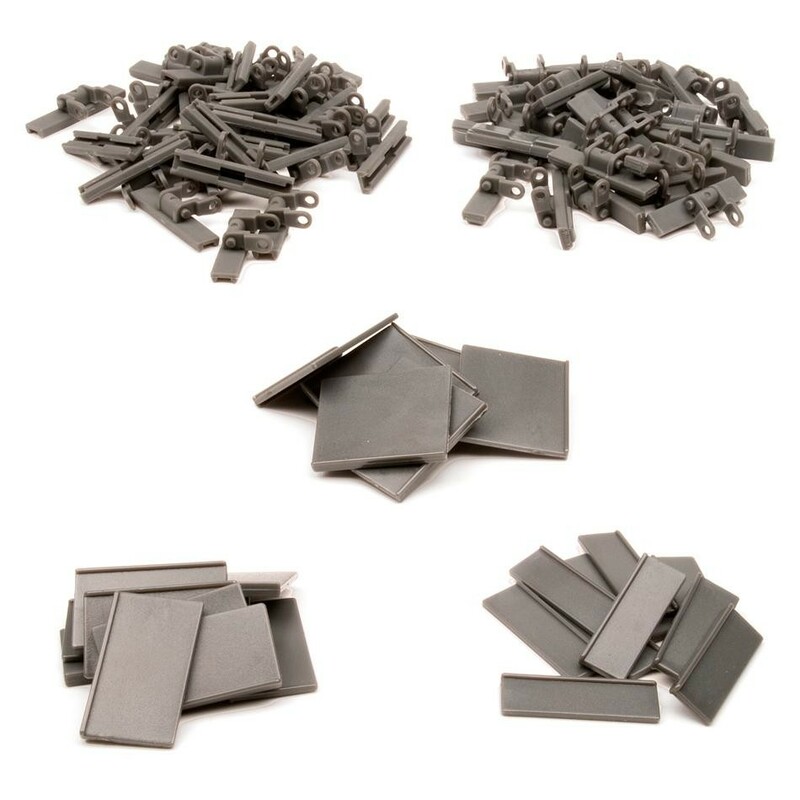 Compatibility :Tank Tread Kit, High Strength Sprocket & Chain Kit, Additional High Strength Chain. Sml. Belt Height: 0.5" (12.7mm). Med. Belt Height: 0.9" (22.9mm). Tall Belt Height: 1.3" (33.0mm).